Discover a new way to unwind with your friends in your own space. 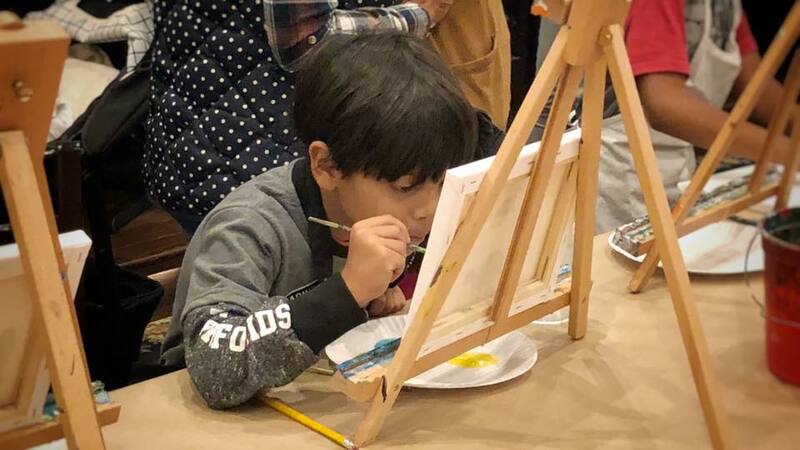 Reconnect over your favorite beverages while a local artist guides you with step by step instructions to create your own acrylic masterpiece. 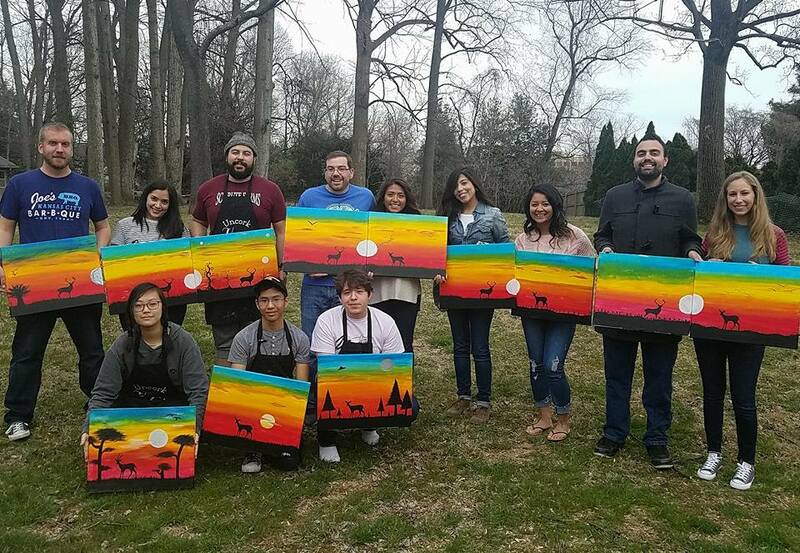 Our painting parties include everything you need for a fun night in. We cater our lessons to beginners to ensure they walk home happy with their painting. To book an event with us, please see our contact page. All paint parties require a 2 person deposit to reserve your date and time. Turn your space into a studio! Celebrate a birthday or host a just because gathering! We bring the table covers, canvas, paint, easels, plates, paper towels, brushes and aprons. Hosts just need to provide the tables and chairs! 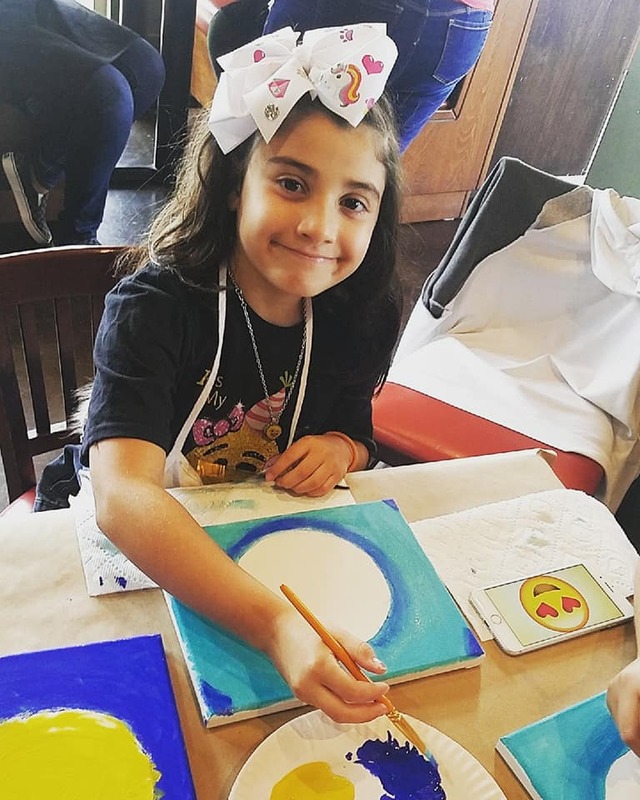 Let us know your child's birthday theme, and we will stencil in a fun painting activity to match! Click the "contact us" page to send us your request!